Minister of State, Mr. Joseph Harmon has now entered the arena in defence of his colleague, Attorney General, Mr. Basil Williams. The Attorney General has been the subject of repeated public onslaught in the media for the constant loss and/or settlement of cases, which are costing taxpayers billions of dollars. In relation to the cases that have been lost, the Attorney General’s modus operandi has been to blame me, the former Solicitor General, Ms. Sita Ramlal, the former Deputy Solicitor General, Ms. Prithima Kissoon, lawyers at the private bar, the junior lawyers currently working with him at his Chambers and in some cases, even judges have not escaped his net. Logic and common sense, without more, will militate against a conclusion that all those persons are at fault, and he is not. But then again, common sense is not as common as we may think. Since I am being blamed for the tragic performance of the Attorney General, I feel impelled to share some information which may enlighten the public on some of these cases which have been lost and/or settled during the tenure of Mr. Williams. I must emphasise that every Attorney General in Guyana over the last one hundred years, inherited incomplete cases from their predecessors. These cases are not the personal matters of the holders of the office but are filed against the State, and it is the duty of the holder of the office to defend them to the best of his/her ability. This has been the long and sacrosanct tradition of the office of Attorney General. In its history, no other Attorney General is on public record, on even a singular occasion, blaming his predecessor for cases inherited. In breach of this scared tradition, the incumbent has converted blaming yours truly into a fine art form. Minister Harmon’s sudden entry into the muddy waters to assist the drowning Attorney General was precipitated by a statement made by the Leader of the Opposition at his last Press Conference, who estimated that the “Treasury has lost 85 billion (425 million USD) through the decisions of the Attorney General’s Chambers to settle ‘winnable court cases, some of which have been pending for several years.’’ It is this humongous burden that Minister Harmon seeks to, cruelly, place upon my tiny shoulders. He says that these settlements were necessary “because of the failure of the former Attorney General to prosecute.” Firstly, I am surprised that learned Counsel Harmon fails to appreciate that when cases are filed against the Attorney General, his responsibility is to “defend” and not to “prosecute.” That faux paux aside, let us examine the matter a little closely for some details. The Leader of the Opposition made reference to the settlement of a case filed by DDL. This case was filed against the Guyana Revenue Authority and the Attorney General almost a decade prior to my appointment as Attorney General. Since it involves the challenge to the computation of certain taxes, naturally, the GRA assumed the lead role in the case. The Attorney General was a nominal defendant. The matter has a long history in the court system. But what is relevant here is that GRA, obviously felt that they had a strong case and retained eminent Senior Counsel from the private bar to represent them. The trial was ongoing before Justice Roxane George. A few months after the 2015 general elections, the matter was suddenly settled on terms that the Leader of the Opposition estimates to have cost the Treasury 80 billion dollars. As Attorney General, I had absolutely no input in the case and because of the nature and stage of the proceedings, there was no need for an input from me. By what process or principle am I to be blamed for this settlement which caused the Treasury to lose this 80 billion dollars? As a result of this settlement, negotiated and concluded under this administration, Banks DIH Limited, who has paid the same regime of taxes as DDL, has sued this government, claiming a write-off of the taxes they paid which were written-off for DDL under their settlement. This case, if Banks DIH Limited succeeds, will cost the Treasury, a further tens of billions of dollars. How am I to be blamed for this disaster? I, as Attorney General, terminated B.K. International Limited contract in respect of the Haags Bosch project for multiple breaches of the contract. B.K. International Limited challenged the termination. After I left office, a High Court Judge ruled that the termination of the contract was unlawful. The Judge made no order to pay B.K. International any compensation. Any lawyer worth his salt would have appealed the decision of that judge because B.K. was guilty of flagrant breaches of the contract. The Attorney General refused to appeal. B.K. International then sends a letter demanding compensation and indicated that if he’s not paid, he will sue. Any competent lawyer, armed with the facts of this matter, would have either ignored that letter or responded by challenging the company to sue. Instead, the Attorney General settles the case by the payment of 5.7 million US dollars!!! The case filed by H.N Sugrim, which the State settled recently for 226 million dollars, is yet another of the many cases which the State should not have lost. The case was filed in June, 2015 (after I left office), it was concluded in April, 2017. In this case, the contract required that a performance bond be lodged by the contractor to the tune of 15% of the contract price within a specified time frame. The contract further provided that a failure to lodge the said performance bond shall be a basis to terminate the contract. The contractor never lodged the performance bond within the time specified, or at all, despite being informed in writing to do so. The contract was duly and lawfully terminated on this specific ground. This should have been an unassailable defence. Yet the Attorney General lost. On two different occasions, he wrote to the Learned Trial Judge in the matter, indicating that he would personally assume conduct of the matter. He requested specific dates for the matter to be fixed so as to be present. The Judge accommodated him on all the dates he requested. He copied one of his letters to the Judge, to President Granger. Only he can explain the reason for so doing. Yet he failed to appear on the dates he requested. When he lost the case, he blamed Prithima Kissoon, the former Deputy Solicitor General. He then files an appeal. Rather than proceed with the appeal, he settles the case. How can I be blamed for this? In the TPL case in which 1.7 billion dollars in compensation were awarded against the State, the case was filed in 2008, against the Attorney General and NICIL (3 years before I was appointed). Eminent Senior Counsel from the private bar was retained to represent the Attorney General. When I assumed office, the case was ongoing. Unsolicited, the Senior Counsel visited me and updated me on the matter. Knowing that gentleman, I have no doubt that he extended similar courtesies to Mr. Williams. 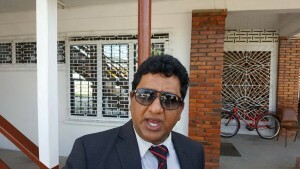 Staff of the Attorney General’s chambers have informed me that Mr. Toolsie Persaud visited Mr. Williams on more than one occasion at the Chambers, while the case was pending. Yet when the judgment was handed down, Mr. Williams is quoted in the Stabroek News as saying, that not only was he unware of the case, but that the Attorney General was not a party to the proceedings. How can I be blamed for such levels of ignorance!!! In the case filed by Dipcon Engineering Limited, the Attorney General claimed that he became aware of the High Court decision three months after it was delivered. He took another 3 months before he filed an application to appeal out of time. He provided no good reason for the delay. The Court of Appeal dismissed his application. Again, he blamed Prithima Kissoon. He then personally drafted an appeal to the Caribbean Court of Justice, which that Court threw out on the ground that it was procedurally wrong. The Attorney General’s signature appears on those documents. As a result, the State was left with a 450 million dollars judgment. How can I be blamed? I was long out of government. I can go on to list and detail many more cases, but space and time will not permit me. I hope I have disseminated sufficient facts to set the public record straight.